På NVT har vi en modern maskinpark. Vi har totalt 14 CNC Maskiner varav 10st CNC-Svarvar där flertalet är fleroperationssvarvar. Bilder på våra nyaste maskiner med lite maskininfo. 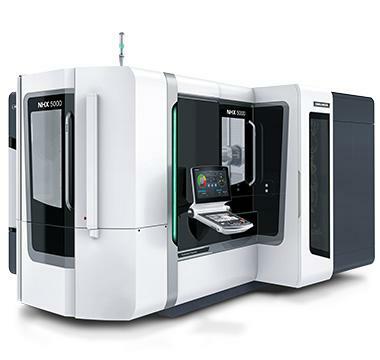 The NHX 5000 2nd Generation are general-purpose horizontal machining centers enabling high-efficiency, continuous machining and mass production machining in various areas such as the automotive and other mechanical fields. Both models are equipped with our latest spindle, the speedMASTER, ensuring high-speed and stable high-precision machining with the thick, high-rigidity bed. The X- and Z-axis guideways are positioned to maximize the rigidity of the bed, column and spindle. The entire structure is optimized for increased performance in static and dynamic rigidity. 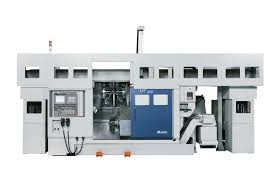 As a result, the models achieve the highest level of speed and accuracy demanded of a horizontal machining center. The distance between the spindle end face and the center of the pallet is short, so machining can be done using short tools even near the center of the pallet. This enables the models to deliver stable performance in various types of machining.